Take part in the most frightening trend this year with our Killer Clown Costume! 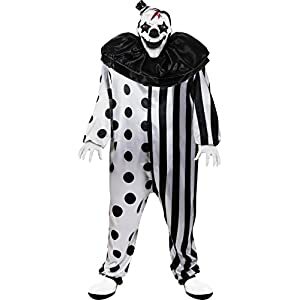 This scary clown costume includes one jumpsuit, collar, and mask with attached hat. Shoes not included with this spooky Halloween costume.